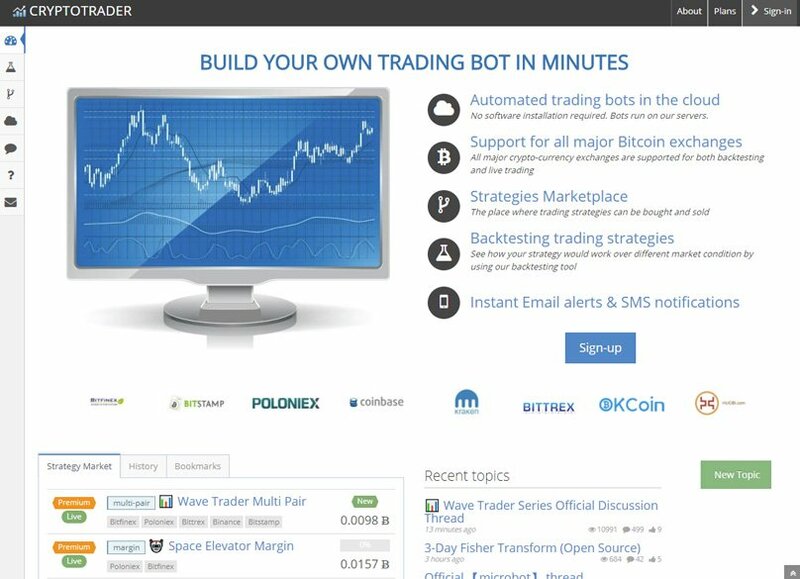 Beginner's Guide to Bitcoin Trading Bots Review - Do they Work ? Unlike the stock markets, the cryptocurrency market never closes and never sleeps, which can be a highly stressful scenario for traders and even casual investors in the industry. Users familiar with crypto investment will also be familiar with the (joyful or sinking) feeling of waking up in the morning to be greeted by a pleasant or unpleasant surprise when they check their portfolio and see large gains or losses. As a result of the volatility of the market, trading bots have become increasingly popular among traders by allowing them to remain in control of their trading at all times, with the bot not sleeping even while the trader is. In addition, a correctly specified bot allows trades to be executed faster and more efficiently than the trader would be able to do manually. The explosion of popularity in cryptocurrency has also resulted in a big increase in the number of crypto trading bots available, either for free from open-source platforms or licensed to users in exchange for flat fees. However, it is difficult to ascertain which of them work as intended and which of them are an absolute waste of time. This post will consider the background to what exactly trading bots are and whether they work for Bitcoin trading (and more importantly, for your Bitcoin trading). It will then consider some of the best trading bots in the market today. 1 What are Trading Bots? 6 Do Trading Bots Work? In essence, a trading bot is a software program that interacts directly with financial exchanges (often using API’s to obtain and interpret relevant information) and places buy or sell orders on your behalf depending on the interpretation of the market data. The bots make these decisions by monitoring the market’s price movement and reacting according to a set of predefined and pre-programmed rules. Typically, a trading bot will analyze market actions, such as volume, orders, price, and time, although they can generally be programmed to suit your own tastes and preferences. Trading bots have been popular for many years in various conventional financial markets. However, trading bots have not been traditionally available to the average investor as they cost a significant amount of money. For example, a Bloomberg terminal can often cost in excess of $10k. However, due to the transparent nature of blockchain, cryptocurrency exchanges tend to grant their customers direct market access that provides users with the opportunity to analyze the exchange’s electronic order book, which was a type of access that was traditionally exclusively available to brokers and investment houses in conventional financial markets. With many people trading Bitcoin passively and therefore unable to dedicate large amounts of time to analyze the market, the intention is that Bitcoin bots will allow users to establish more efficient trading without having to keep on top of the market at all times. If you are in a hurry, here’s our pick of the top bots on the market right now. In the early days of cryptocurrency trading one of the primary strategies that traders used to make profits was arbitrage – i.e. buying assets in one market and then selling them in another for a higher price, thus earning profit on the difference. As cryptocurrency exchanges were decentralized, there were often large differentials between prices offered on various exchanges, meaning that profits could be made through arbitrage. Although the spread between exchanges are much smaller now, they do still appear from time to time and trading bots can assist users in making the most of these differentials. In addition, arbitrage can also be utilized in traders looking to involve futures contracts in their trading strategies by benefiting from any difference that exists between a futures contract and its underlying asset, by considering futures contracts that are traded on various different exchanges. Trading bots can also allow investors to use the market making strategy. This strategy provides for “continuous buy and sell prices on a variety of spot digital currencies and digital currency derivatives contracts” in an effort to “capture the spread between the buy and sell price”. In order to carry out the market making strategies, in involves making both buy and sell limit orders near the existing market place. As prices fluctuate, the trading bot will automatically and continuously place limit orders in order to profit from the spread. Although this may be profitable at certain periods, the intense competition around this strategy can result in it being unprofitable, especially in low liquidity environments. Trading bots work by reacting to the market. It gathers the data it needs in order to execute a trade based on analysis of the trading platform. However, with cryptocurrency, the trading platform only tells half of the story, with many rises and falls being based on other sources (such as John McAfee’s Twitter or other online rumors!) that cannot be programmed into the bot for analysis. In addition, as noted above, the spread between the exchanges has flattened somewhat, meaning that the opportunities for inter-exchange arbitrage are much lower than in previous years. Many trading bots use what is known as an exponential moving average (EMA) as a starting point for analyzing the market. EMA’s track market prices over a set time period, and bots can be programmed to react to what that price does – such as moving beyond certain thresholds. By programming the bots, traders can set their thresholds to correspond with their risk appetites. However, one of the downsides of EMA is that it is based on past history, which, as all traders will know, is not indicative of future performance, especially in the cryptocurrency industry where volatility is rife. Therefore the question of whether trading bots work is a multi-faceted one in which the problem answer is that they work, but not necessarily for everybody. Trading bots offer a variety of advantages, including having constant interaction with the market, as well as the not-insubstantial factor of removing the emotion from trading. However, on the other hand, by using the wrong trading strategy or relying on the trading strategy of others, a trading bot could simply end up automating a set of poor market trading decisions. In this section we will take a look at some of the popular and publicly-available bots you can use. In most cases these bots will offer more than automated trading. Some of the platforms give clients advanced trading tools, as well as access to numerous crypto exchanges. Cryptohopper is one of the most established players in the auto trading scene for several reasons. Firstly, they run entirely on the cloud, so no installation is required making 24/h trading possible. They also have an incredibly intuitive dashboard, and only require a 5 minute set up to start trading. Next to this they are the only bot to embed external signalers, allowing new traders to subscribe to a growing list of professional analysts from around the world. Many use machine learning, intelligent algorithms and employ teams of mathematicians to target rising coins. Signals are sent directly to the users bots which buy and sell when they receive them. The bot allows you to take advantage of bull markets with a trailing stop-loss, and has full technical analysis features from Stoch and RSI to Bollinger Bands and MACD. 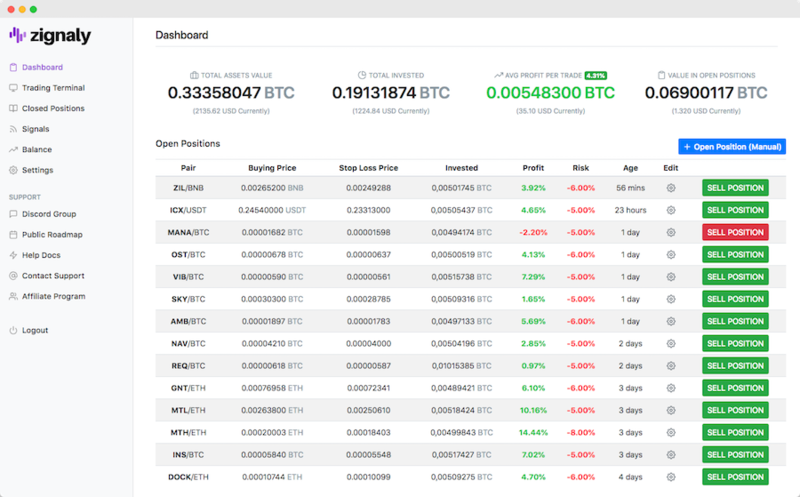 Cryptohopper has a very nice modern dashboard area where you can configure and monitor everything and comes with a config wizard or pre-created templates for the popular exchanges – Binance, Bittrex, Poloniex, GDAX and Kraken. Traders with more experience can incorporate their favorite technical indicators, triggers and use tools that are handy in bear markets, such as DCA & shorting features. Unlike many other bots, Cryptohopper does not charge any trading fees, and is one of the few bots to offer a free trial for a month with the ability to upgrade to Bunny ($19 p/m), Hare ($49 p/m) and Kangaroo ($99 p/m). We have completed an Indepth Review of Cryptohopper here. 3Commas is a popular trading bot which works with a number of exchanges including Bittrex, BitFinex, Binance, Bitstamp, KuCoin, Poloniex, GDAX, Cryptopia, Huobi and YOBIT. The bot works 24 / 7 with any device as it is a web-based service so you can monitor your trading dashboard on mobile as well as desktop and laptop computers. It allows you to set stop-loss and take-profit targets and also has a social trading aspect which allows you to copy the actions of it’s most successful traders. Another interesting feature is it’s ETF-Like crypto portfolio feature which allows you to Create, analyze and back-test a crypto portfolio and Choose from the best performing portfolios created by others. We have completed an Indepth Review of 3commas here. Cryptotrader supports most of the major exchanges for both backtesting and live trading, with the backtesting tool allowing users to review how their strategies would work under different market conditions. CryptoTrader offers five different subscription plans, with fees ranging from 0.006 BTC to 0.087 BTC per month (Bitcoin is the only payment method accepted). The separate packages include a number of differences, including the number of bots operating on the user’s behalf as well as the maximum equity limit. Although though some knowledge of coding is beneficial when setting up strategies in the CryptoTrader bot, there are a number of free and paid strategies available for users that are not experienced / interested in coding. The CryptoTrader bot also has a wide level of interoperability, with the service offering email and text notifications to alert users on important market events or changes in trends. Read our Indepth Review of CryptoTrader. Although Haasbot is probably the most complete of the trading bots that are currently available, doing much of the labour with relatively minimal input required from the user, in order to provide this service it is pretty expensive, with costs ranging from between 0.04 BTC and 0.07 BTC for a three-month period. Haasbot is an outgrowth of HaasOnline Software, which was started by Stephan de Haas in the 1990’s. The same company is also behind HaasOnline Trade Server (HTS), which is a automated system that is designed to trade cryptocurrencies. The Haasbot platform operates on Windows, MacOS, and Linux, and allows traders to choose from more than 10 different ‘bots’. The more you decide to spend, the more bots you will have access to on the platform. Given the prices involved in using the bots, it is a good idea to do some research on the returns they have generated in the past. Read our Indepth Review of HaasBot here. Zignaly is a trading terminal with cryptocurrency trading bots that lets you trade automatically with help from external crypto signal providers. For the moment the platform costs just $12 per month. The platform is incredibly easy to use and can be utilized as a passive income machine. Zignaly lets you easily connect with a TradingView account, so you can use it with your favorite indicators. Alternatively, you can use the Zignaly trading terminal to create your full strategy at once. Because Zignaly is still pre-launch, the number of exchanges that it operates with is limited. The development team says that once the full version is live, KuCoin, Coinbase Pro, Poloniex and Bittrex will be added to the platform. The company also plans to offer its clients unlimited currency pairs without any additional cost. One of the nicest things about Zignaly, besides the price, is the developers’ commitment to transparency. The full development teams’ info is available online, and anyone who wants to learn more about the founders can find their personal information on their social media profiles. Read our Indepth Review of Zignaly here. GunBot is a well known cryptocurrency trading bot which uses individual strategies that are completely customisable to fit your trading style. It can operate on the following exchanges: Bittrex, Binance, Poloniex, Bitfinex, Cex.io, GDAX, Kraken and Cryptopia. You can run the bot on your own computer or use a VPS and can manually add different coin pairs, pick a strategy and set it to work. GunBot a versatile trading platform, and it also offers a lot of value for the money. The platform has a few different plans, that range from 0.04 BTC for the Starter Edition to 0.3 BTC for the Ultimate Edition. At current prices, the starter edition would only cost $160 USD, and offers users the option to buy a lifetime license for an additional fee. The features that GunBot includes in its Starter Edition are worthwhile for the price. Included in the Starter Edition is a copy of GunBot Lite, as well as three algos to choose from. The next two levels add loads of functionality, with the Pro Edition adding backtesting capabilities, and cryptosight as standard features. Gekko is an open-source trading bot and backtesting platform that supports 18 different Bitcoin exchanges. Gekko is entirely free and can be found on the GitHub platform. Gekko is a relatively straightforward trading app to use that includes an interface and basic strategies from the outset, which allows you to be more comfortable with the use of the bot. Gekko also has a number of plugins available that will allow you to be updated regardless of what level of connectivity you have. Although Gekko is not a high-frequency trading bot (making only a couple of trades per week, depending on configuration), nor a bot which allows you to exploit arbitrage opportunities, its list of supported exchanges and basic strategies means that it is probably a good place to start for anybody interested in utilizing Bitcoin trading bots. Similar to Gekko, Zenbot is also an open-source trading bot for Bitcoin traders. As an open-source project, Zenbot is available for users to download and modify the code as necessary. However, there have been question marks in the community over the development of Zenbot, with no updates having been made to the platform for a significant number of months. This means that no additional exchanges have been added to the platform for almost one year, meaning that it may have access to less information than some of its competitors. However, on the positive side, Zenbot, unlike Gekko, does offer high-frequency trading as well as supporting multiple cryptocurrencies in addition to Bitcoin. Cryptos are a great new asset class, but it is hard to create a return from them in the same way that cash or a stock creates value. Most people associate stocks with gains from price appreciation, but many of the best stocks pay out dividends. There isn’t really an analogue for this in the crypto market, unless crypto owners lease out their cryptos to derive an income from their holdings. From an investment standpoint, passive income is extremely important. As the last year has shown us, we can’t assume that asset prices will show gains year-over-year. One argument for holding stocks through a bear market is that they will continue to pay dividends, which can then be reinvested in the company when the stock prices is depressed. Cryptos are more like a commodity than a company from an investment standpoint, which leaves investors with something of a problem. There is absolutely no reason to hold on to a commodity in a bear market, as it doesn’t deliver any kind of return aside from price appreciation. If you want to put your crypto portfolio to work for you, trading bots could make sense to use. There are many different kinds of bots out there, and some can take advantage of market movements to create gains automatically. Instead of relying on dividends, trading bots allow you to leverage your crypto holdings to make an income via trades. This system of income generation may not be quite as secure as compounding dividends, but it is one of the only options available to crypto investors. The ‘bot’ is important because unlike a human, it is awake and looking for income opportunities 24/7. Of course, there is no such thing as free money. Any risk that can generate a return has the potential to lose money. It is a good idea to make sure that any automated investment platform you choose to trust with your cryptos can prove that it works with a verifiable transaction history. It is easy to get carried away with dreams of quick money made in the financial markets. The years that led up to the massive crypto rally of 2017 were amazing, but now the reality of the crypto market is setting in. If you are looking to make the kind of returns that many saw in 2017 with a trading bot, you will probably be disappointed, or go broke. The simple fact is that in order to create returns, you have to take on risk. The bigger the risk, the greater the possible return. On the other hand, when you take big risks, the possibility that you will face catastrophic losses is very real. There isn’t any algo that can ‘de-risk’ trading, no matter how advanced it is. If you are looking to make 3-6% per year on your crypto holdings with a trading bot, you will probably find something that works for you. There are many low risk trading strategies that do produce returns, and an algo will make sure that you don’t lose your discipline lunging for the brass ring. Keep in mind that a portfolio manager than can consistently produce annual returns around 10% will beat 99% of professional money managers. Expecting an algo to do more than that probably isn’t wise. Trading bots can assist traders in ensuring that they are always interacting with the market, even when they are physically unable to do so. They can assist in removing some of the stress and emotions that are often found in any financial trading markets, not least the cryptocurrency market. However, trading bots are not for everybody, nor does everybody need one. Casual investors are not the prime target of trading bots, and if your intention is to buy and hold Bitcoin then a trading bot is probably not the correct investment for you. In addition, if you are not a competent programmer or familiar with the creation of financial strategies, trading bots may also not be for you. However, if you have the requisite knowledge and ability to overcome these obstacles then a trading bot can be a worthwhile tool in monitoring and making gains from the Bitcoin market. Everyone should all start buying and selling bitcoins at LiviaCoins. Their service is good. How about cat bot? It is probably the oldest bitcoin bot around and not in this list? Anyone have any info on Nefertiti? Seems nice and simple for very limited trade strats, but not much feedback about it to judge if it’s safe/legit. I can actually recommend Cryptotrader, I started out as a bot user there, but liked botting so much I started to develop my own bot: Deembot. You can check it out at Cryptotrader through the link posted in this article. Any questions can be sent to me on the platform there. Hi. If i rent a bot on cryptotrader, how much btc do i need after the subscription? I prefer to invest with a trading company who has a bot. That is expert service and you just rest and also make money. Hands down the HaasBots are the best automated trade bots available. Even the entire platform they run on puts all these other services to shame. 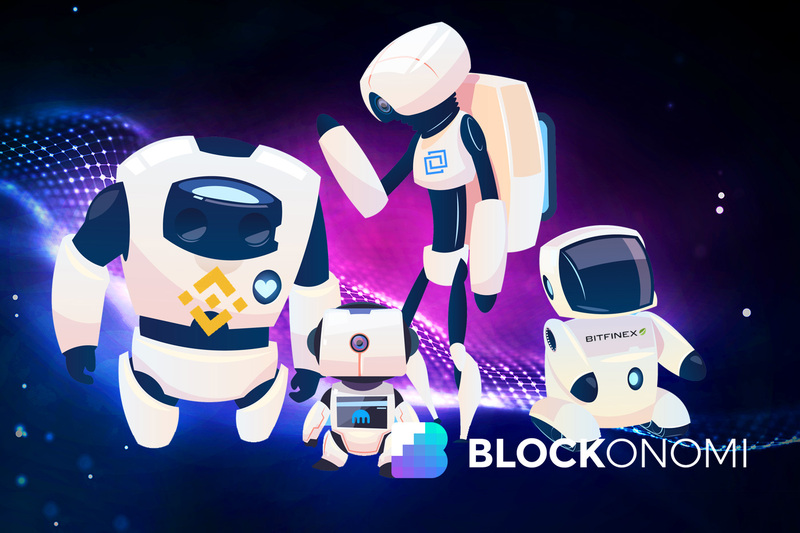 HaasBots were also the first Bitcoin bots available to the public and the company has had a working product since 2012, unlike all these sham ICOs or sketchy web services. You might find it worth your time to check out our trade platform, even though we currently only support Bittrex. We offer a fully automated platform in which you have a few settings you can tweak and for the rest it runs itself. Read the article and was wondering if you’d like to test our trade bot perhaps? It is a fully automated trade platform, so if you are interested let me know! Anyone heard of GSMG ? Any good? As being a quantitative analyst myself for 8+ years, I find there is no tool / system / trading bot can constantly beat the market without human interference, but a great tool that helps you to experiment your ideas / strategies easily and quickly can significantly improve your odds, so here we build Coinfinda, with intuitive UI and a 7-step configuration to command your bots, you will be able to maximize your potential wins and cut you possible losses very efficiently. This list is missing https://www.shrimpy.io! It’s a free rebalancing / portfolio management bot. Definitely the easiest to use and get set up from this list of bots. Hi Andrew and all out there. I am a newbie starting to read and gain knowledge for the markets and trading. What do you recommend me as a beginner … when using a Bitcoin Trading Bot .. how much knowledge should I have and should I even do not touch any Bot before a required skill or level of knowledge?? Are there any tutorials about how to use a bot? I am really excited about this topic and would like to try but I don’t want to be just a “stupid” user. Any kind of opinion or supportive help appreciated! Thank you very much for a very interesting and useful review of current trading boys. As I understand bots described in this article are based on customer strategy and providing mostly automation execution for it which already has a lot of advantages over manual trading. And as I know there are a new type of trading bots. They are based on Machine Learning Models and developed using advanced Neural Networks algorithms. Is it more profitable, easy and secure to use such bots?